Many small animal residents of the Mitchell Park Horticultural Conservatory "work" as "animal-educators". These Mitchell Park Domes fauna residents play a key role in Domes educational programs for children. As a Domes Animal Sponsor, you become a partner in providing the best care for the animals living in The Domes. For your sponsorship, you receive not only the satisfaction of helping your selected animal, but also a thank-you packet that includes an animal fact sheet, certificate of sponsorship and color photo of the sponsored animal. All Sponsorships are annual fees. Domes Animal sponsorship does not imply any legal rights over an animal or its care. 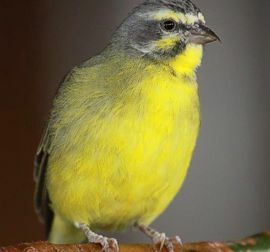 Read the latest Birdie Bulletin. 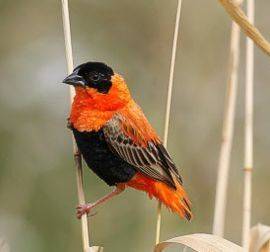 The Bishop's Weaver wants to be noticed. He loves to show off his beautiful orange colors spring through fall when his feathers are in full color. Green Singing Finches are beautiful singers living in the Tropical Dome - adorned with some bling - the bands they have been tagged with. 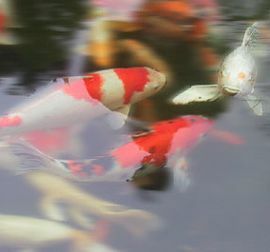 Koi Fish are brightly colored carp you will find swimming in the pond in the Tropical Dome, lazing under the waterfall, peeking out from under the bridge. 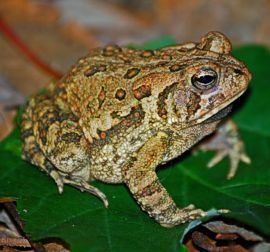 The American Toad is a North America toad living at the Domes. He doesn't "ribbit" but makes more of a trilling sound. 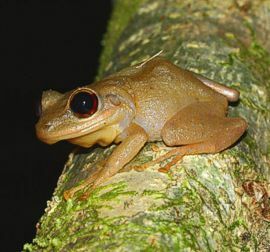 The Coqui Frog is a Central American frog living at the Domes. He doesn't "ribbit" as you would suspect, but makes a sound that mimics his name "ko-key". 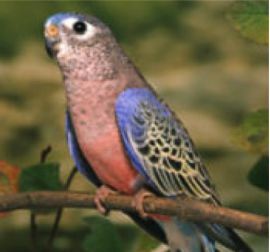 Our Bourke's Parrot is from Australia and is named Angus. He adds lovely color to the Desert Dome. 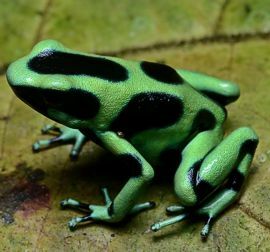 Our nearly neon Green Poison Dart Frogs are not actually poisonous because they dine on non-poisonous plants in their Tropical Dome home. 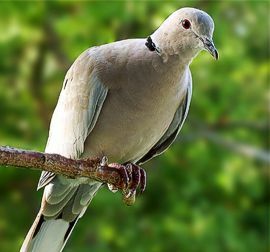 Ring-necked Doves are from the MIddle East and are enjoying life in the Desert Dome. Their names are Ishaq, Shafi, Khalil, and Fazil. Their cooing is one of the first sounds you'll hear upon entering the Desert Dome. 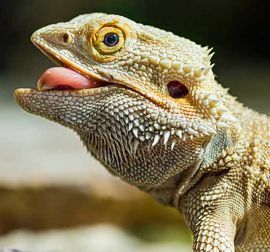 Our Bearded Dragon, Steve, lives in the Desert Dome. You can find him at the back of the Ramada (the adobe building in the middle of the dome). Go on in and say hi!